Most musicians, beginner, amateur or professional, will, at some point in their career, have to play an early morning gig. In my experience this is typically the morning church performance. Back in high school and up until last year, this was one of my most challenging gigs. I would struggle with endurance and technique. I was most often frustrated because of the gap between how I actually performed and how I know I could perform. I do not like surprises when it comes to performing in front of people. So, to prepare, I like to do a few test runs for the actual performance. Knowing that this past Christmas program at church was a little demanding with some upper register playing, I figured it would be best to see how the chops would handle the early morning workout. So, over the Thanksgiving holiday, I decided to get up early and pretend that I was going through the steps I would be on performance day. I got up at 6:30 in the morning had a two or three cups of coffee, got dressed, warmed up, started the “warm-up” rehearsal at 8am just like at church and then played through the program the first time starting at 9:00am. I rested from 10am-10:45am and then played through the entire program again just as I would be later in December for the actual performance. Well, needless to say I was about ready to quit. I had played through this program many times in the evening, sometimes at the end of my practice, and was able to handle the music fine. But turn the clock upside-down and it was as if I took 3 years off my playing ability. I experienced embrasure fatigue half way through the first time, I had limited range and tone quality was just bad. I was very angry with myself in that I did not know why I practiced so hard if this is what the product was going to be when I need it most. The night before your morning gig, go to bed 2-3 hours earlier than you normally do. It might be hard to fall asleep at first, but just try. Don’t drink any alcohol or take sleep medication or eat salty/greasy foods. You want to be fresh in the morning. The next morning, wake up 2-3 hours earlier than you normally do. In my case, I went to bed at 8pm and got up a 5am the following morning. I did have one cup of coffee but that was it. Keep in mind caffeine causes dry mouth and can give you the jitters. Go for a good hard walk or run. You want to break a sweat. So, 5-10 minutes will not cut it. 30-60 minutes at a brisk pace is what you are going for. (Make sure you are medically cleared for this kind of exercise first) You need to really wake up the body and make sure you get the circulation going. The purpose here is the wake the entire body up. While you are working out, stretch the facial muscles and massage the cheeks, around the mouth, around the nose and down the neck. Do some “horsey” noises or flap the lips. Try to get big flappy sounds. This will help wake up the embrasure muscles. Then, after a short rest from the workout, eat a good, well balanced breakfast. Not a Vegas style buffet and not too light either. I like to do two eggs, toast, a little yogurt, water and some fruit. Get showered and dressed. By this point you should be very alert and awake. Once you are ready, do some light, very gradual warm-up on the horn. If your normal warm-up includes upper register work, you may want to hold off on that and save it for the performance. Do lots of tonguing and some flexibility studies. Pedal tones are good, but not too many because it can leave you too loose. Don’t forget your breathing exercises! After this, you should be ready to perform as if it was a normal evening practice. After following this routine the next morning, I was completely amazed at the difference. On the day of the performance, I was able to play both services as if I was playing in the evening. The key is fully waking up the body and having a good breakfast. I am not a big breakfast eater, but eating a good breakfast does keep you from getting the hunger shakes or feeling light-headed. When you don’t wake up the body or the facial muscles completely, you can actually traumatize the muscle tissue in your lips causing you to fatigue quickly and loose technique. Try it. You will be amazed at the difference. If it does not work, as Bruce said, have the Pastor move the services to the evening. Jeff Beights began playing the trumpet in the fifth grade. By his senior year in high school, Jeff had received awards throughout Indiana and Michigan for his Lead trumpet and solo performances. To the surprise of many, he put the horn away in the spring of 1988 to study at Ball State University’s College of Architecture and Planning. After graduation in 1993, Jeff went on to start a successful Information Technology Consulting Services company in Indiana. In 2009, after many years away from the instrument, he started playing again. Jeff Beights is currently studying with Certified Claude Gordon instructor Bruce Haag. 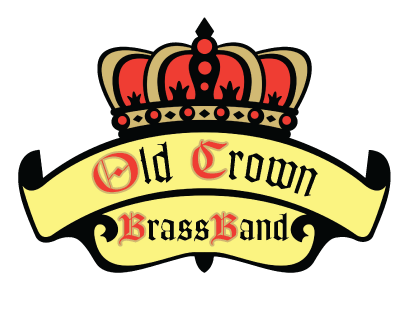 He is a Brass Instructor at Concordia Lutheran High School and current member of Old Crown Brass Band.